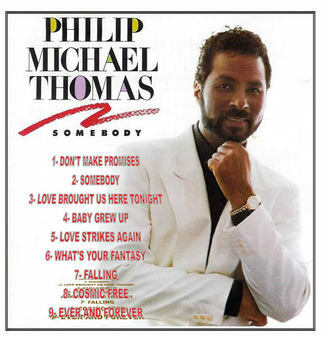 Philip Michael Thomas released his first album Living the book of my Life in 1986 and in 1987 he released his second album titled Somebody. In 1993 he co-wrote My, My, My Miam…I with Kathy Rahill and the song was chosen as the Miami’s city anthem. In 1999. He also composed the music to the musical Sacha that he co-wrote with Sandi Morais. In 2001 Philip produced the music track for Sandi Morais’ Golden Workout video and in 2006 he produced the music track for herTune-Up DVD workout. Philip met Sandi Morais on the set of Miami Vice in 1984. Sandi was a Pre-school teacher and a Fitness Instructor. They both shared a passion for living a healthy lifestyle, education, creative writing and theater. Philip and Sandi collaborated on writing and producing their first original musical titled Sacha & the Magic Cooker Maker / Sacha on Broadway from 1999 to 2007. They published five of their children’s stories in Sacha and the Magic Cookie Maker coloring story book with music and educational stories for children.